Here’s a customer in Cary North Carolina that called us when their heating did not work. 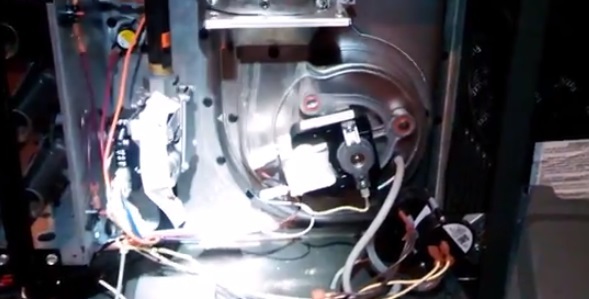 Checking the negative pressure switch on a Goodman horizontal furnace. The pressure switch is a safety check to insure the draft motor is functioning properly before the circuit board allows the gas valve to open. After replacing the dual pressure switch this unit was heating up the home perfectly again. If you have any heating or air conditioning issues and you live in Cary, North Carolina, call Alexander Heating and Air Conditioning for Quick, Honest and Affordable service.